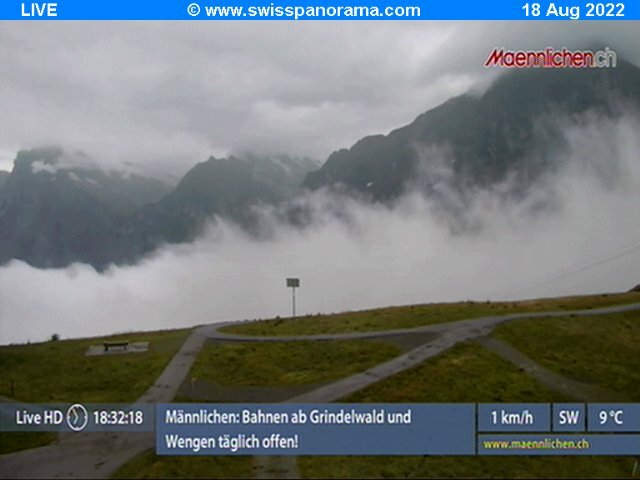 inter sports really started here, amongst the stunning villages and mountains of the Jungfrau. The mountaineers came to conquer the Eiger from Kleine-Scheidegg, and the ski racers came to conquer the Schilthorn, above Mürren, still the home of the world's oldest ski race, the Inferno, and where the famous Alpine scenes in James Bond's OHMSS were filmed. Wengen is the home of what is probably the toughest ski race in the world, the Lauberhorn, and is also one of the most charming villages in the Alps. Grindelwald is a larger, busier community, not car-free like Wengen and Mürren, but it has cheaper accommodation, more nightlife and good access to all the same pistes as Wengen, as well as the less crowded slopes at First. 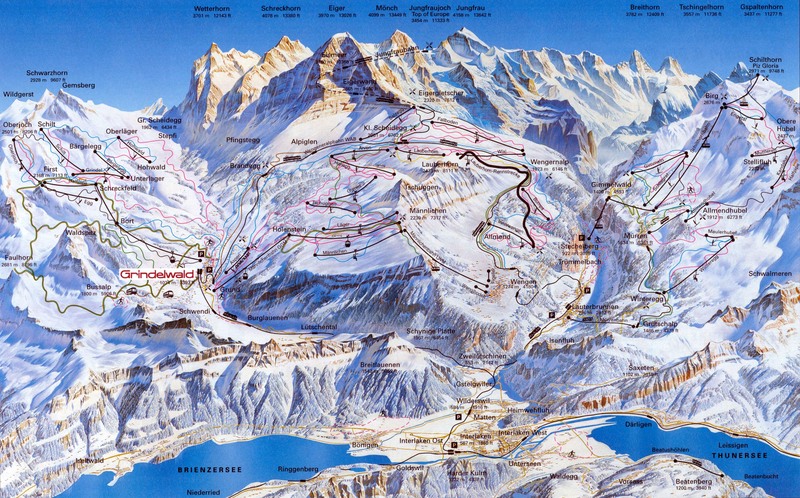 The longest runs include the descents from the Männlichen to Grindelwald Grund, the run off the Lauberhorn into Wengen, and the black Schilthorn run to Mürren (and sometimes as far as Lauterbrunnen, weather permitting) - all classic runs. The road distance from Basel is around 166 km and the journey time is roughly 2 hrs. 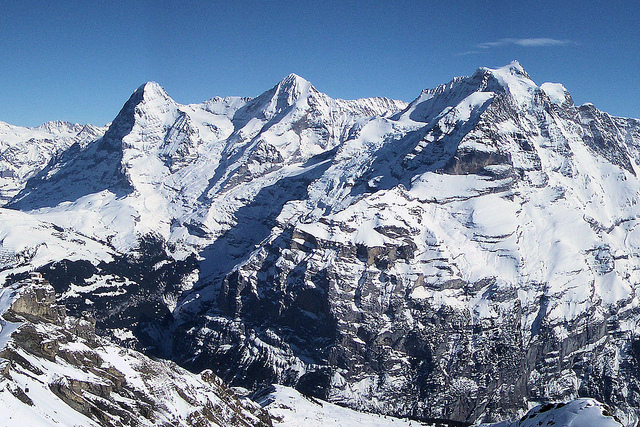 Resorts in the ski area include Grindelwald, Lauterbrunnen, Mürren and Wengen.